Incredible Moments at the "START"
The mission of Fresh Start is to promote Christian growth through the word of God. It is essential that each member learn how to live for Christ in the fullness of the True Gospel. Through the Word of God, the ministry wants to "Seek for the lost and help find the Lord." Fresh Start Ministry wants to build a ministry that will reach beyond the doors of the church and into the community and unforseen land. To plant spiritual seeds into the community and help each believer have a better understanding of the Bible. We want each member to gain insight and wisdom for living and a fresh prespective on how to help deliver the word to others. "Changing Lives Through the Word of God." Dr. Lewis Waller is the Pastor and founder of Fresh Start Ministry located in Fieldale, VA. At an early age, Pastor Waller developed a passion for Christ. But, he truly fell in love with Christ at the age of 17 when he was called into the ministry. He stated that the Lord spoke his divine word into his spirit to be that voice as John the Baptist crying in the wilderness, “Repent for the kingdom of Heaven is at hand.” He was ordained into the ministry at Reach Out Tabernacle under the leadership of Bishop Lorenzo Hall in 2001.
praise, and worship Christ in spirit and truth. Today, the ministry is educating and empowering the youth to operate in the spirit of excellence. 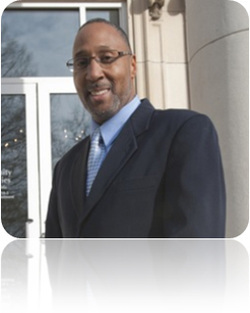 Pastor Waller has overcome numerous obstacles as a Pastor. He has learned that a good leader must understand the importance of being a good role model while planting the right spiritual seeds into the lives of others. He often quotes the scripture that Paul planted, Apollo watered, but God gave the increase found in I Corinthians 3: 5 & 6. His objective is to impart the members with spiritual growth and Godly fear. Thereby, the members must understand why they need the Spirit of Christ in order to touch the lives of others. Overall, he knows that he has numerous tasks to fulfill in order to build a promising ministry for Christ. He feels blessed that God has given him an opportunity to touch the lives of others. Dr. Waller graduated from Drewry Mason High School in 1979. He started his amazing career at North Carolina A & T State University where he received his Bachelor of Science degree in Industrial Technology and his Master of Science in Technology Education in 1996. However, his greatest achievement was attained when he completed his Ph. D in 2008 at Capella University. He gives God the glory and honor for this accomplishment. For without Christ, this task would not have been possible. He is thankful for the flock that God has blessed him with and for their support in the ministry. Dr. Waller loves working with the youth and they know his favorite word is “LORD.” His mission is to reach the lost at any cost.